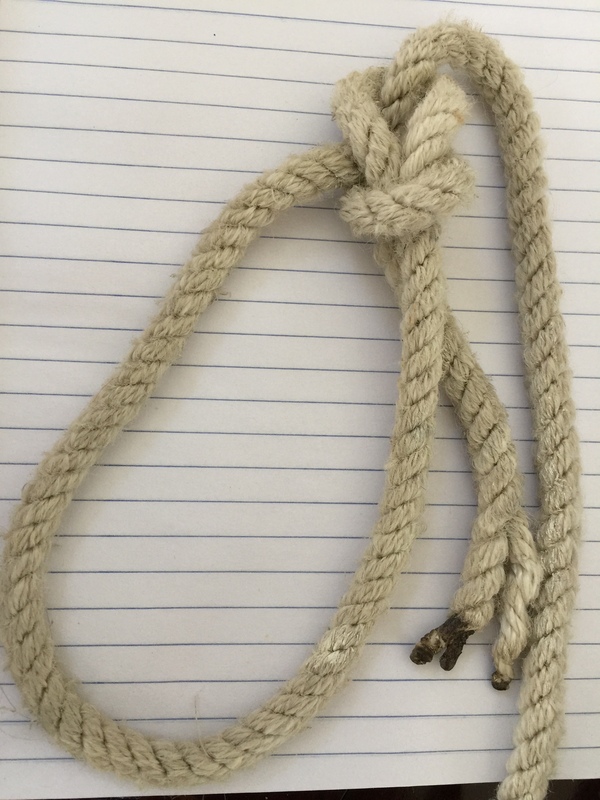 I can now tie a Sheet Bend, and the Bowline and Figure Eight knots thanks to instruction from the website, “Animated Knots By Grog“. But, it’s slow going. I want to get to the point that I can tie a knot, glancing down from time to time, and manage a conversation. Apart from being purely functional, it seems that knots are important for maintaining social etiquette amongst sailors. As I study the section in my course called, “Seamanship: Preparation for entering a marina”, I am surprised to learn that I will be laying out lines to other boats. What does that look like if we arrive late at night? Or, want to leave at the crack of dawn? Tie your boat up correctly for the situation. If you are unsure how, ask a dock boy, or one of the other boaters: they’ll be glad to help, since if it breezes-up, its their boat a poorly-secured boat will bang into. First, does anyone actually use the term “dock boy”? And, second, no boater will be “glad” to learn that they are next to someone who cannot tie a knot. I do take this skill seriously. Afterall, for cruisers, a boat is not just a weekend lark, it’s their home. commotion caused one night … when a late-arriving boat anchored too close to another. The shifting wind at 0300 caused them to tangle with one another and soon there were two angry and burly boaters on deck, sans clothing, but armed with spotlights, shouting and cursing while blinding each other with the lights. That’s an ugly image, and a good reason for me to keep practicing my knots. 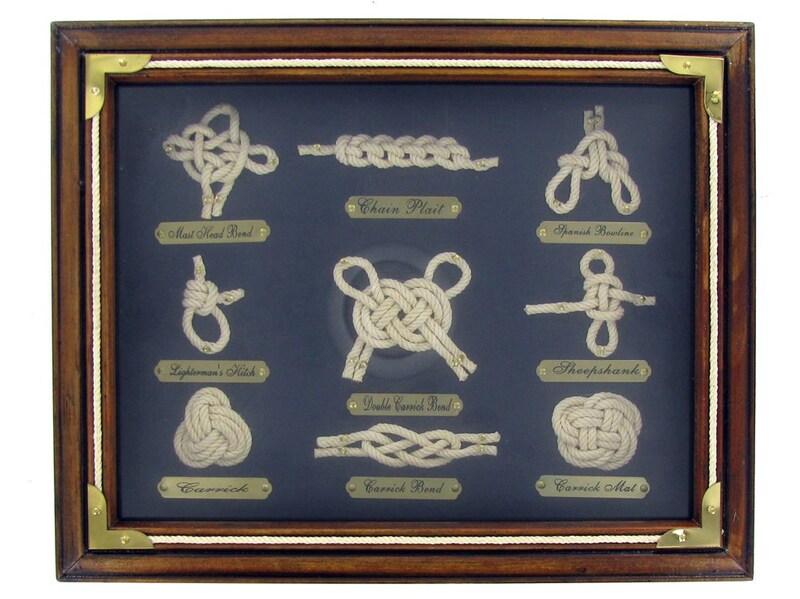 I will likely purchase a Sailor knots picture like the one below. It will be a good quick reference sheet. There’s a saying that good fences make good neighbours. But, in the nautical world, I think good knots might make good sailors. To this end, here are the knots I tied this morning. Why not save the money and make your own little reference?